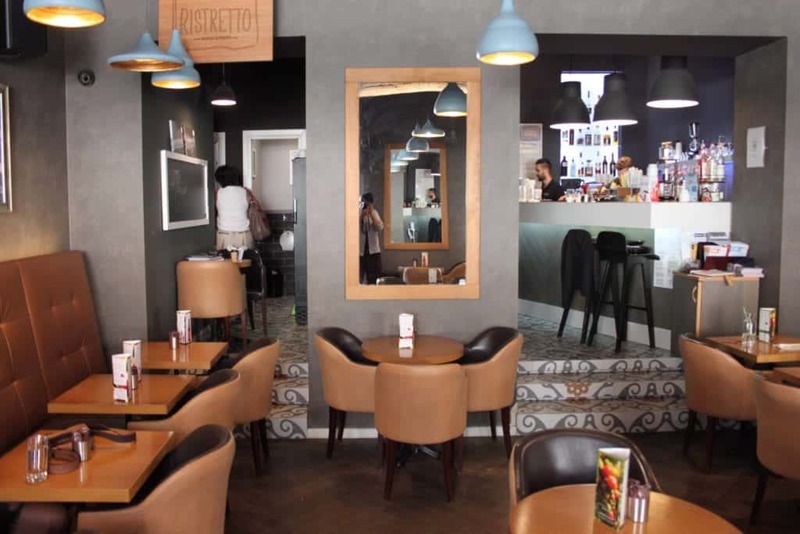 Known for its numerous wonderful Art-Nouveau buildings, the Romanian city of Oradea, located 15km away from the Hungarian border, has seen a considerable amount of cafes opening in the past two years. Thanks to the rebirth of the city, which has been done by local authorities renovating the iconic buildings in town and promoting tourism initiatives, the city attracts more people each year. This is an opportunity for new restaurants, hotels, and cafes opening. 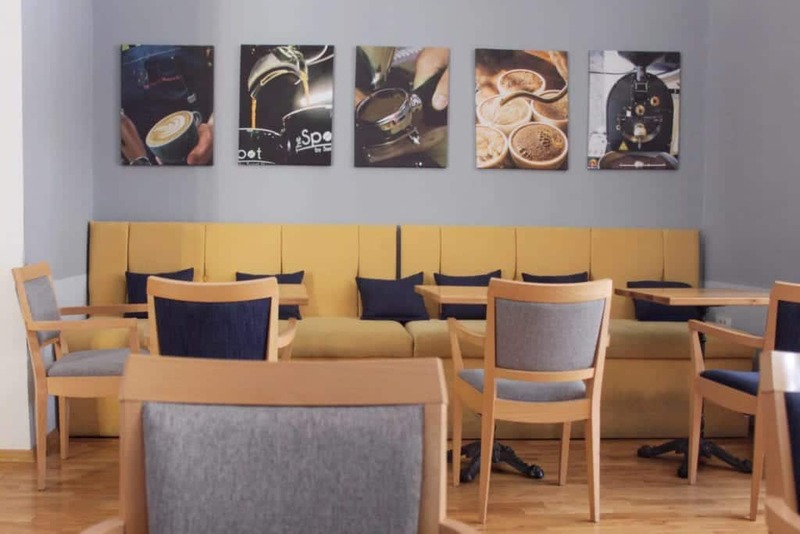 During my visit to Oradea, I had the chance to visit five of the places offering speciality coffee in town. 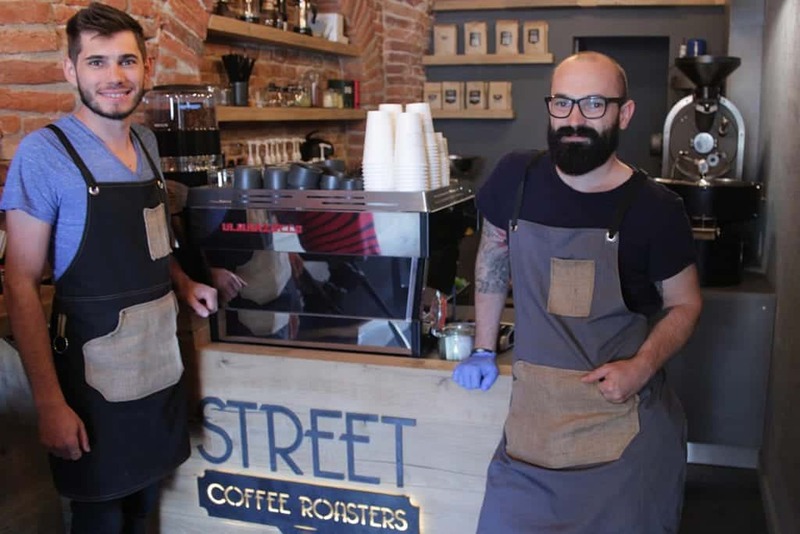 Andrei Socaciu and Ionut Mangra, owners of Street Coffee Roasters, opened their first cafe and roastery during the first months of 2017. They were inspired by the street food stall service and decided to start their entrepreneurial journey by offering coffee-to-go in the city. Both owners have been friends for 20 years and had always wanted to open a business together. Andrei spent some time in London, where he got his first job in the coffee industry as a barista at Starbucks. 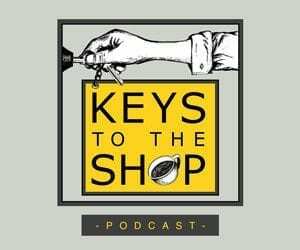 It is where he admits to having learnt a lot about running a coffee business. As Andrei said, he got the chance to drink “delicious, different coffee” at an independent cafe in London and understood that he could learn a lot more about the beverage. After a few years in the UK, he came back to Oradea and realised straight away the lack of cafes in the city. The idea to open their first cafe in Oradea was born. Andrei and Ionut also agreed on roasting their own coffees. Today, they admit that the first months were challenging, as their skills were limited. 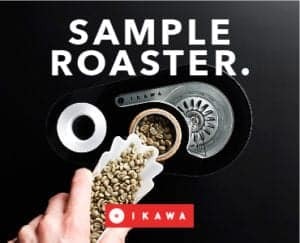 They didn’t hesitate to send samples to other coffee professionals in Romania though, in order to gain feedback, which helped them improve their skills continuously. The two friends are very thankful for and proud of what they have achieved so far. Nevertheless, Andrei keeps further progress in mind: “Our main challenge is to be more consistent and to ensure the same quality each time we roast our coffee”. 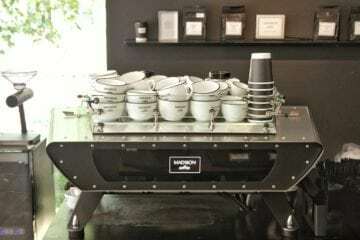 They order their green coffee from cafe Imports and Collaborative Coffee and roast with a Coffed SR5 roasting machine. A Linea Classic espresso machine is installed at the cafe, serving a rotation of coffees. The cafe’s design reflects the machinery. A frame of a Linea Classic is mounted onto the wall to finish the decor. I opted for a delicious Chemex, prepared with a Congo, North Kivu, offering a cup of floral and lime notes, with a herbal aftertaste. Street Coffee Roasters customers are familiar with flat whites and other espresso drinks, but cold brew has been on the rise only this year. 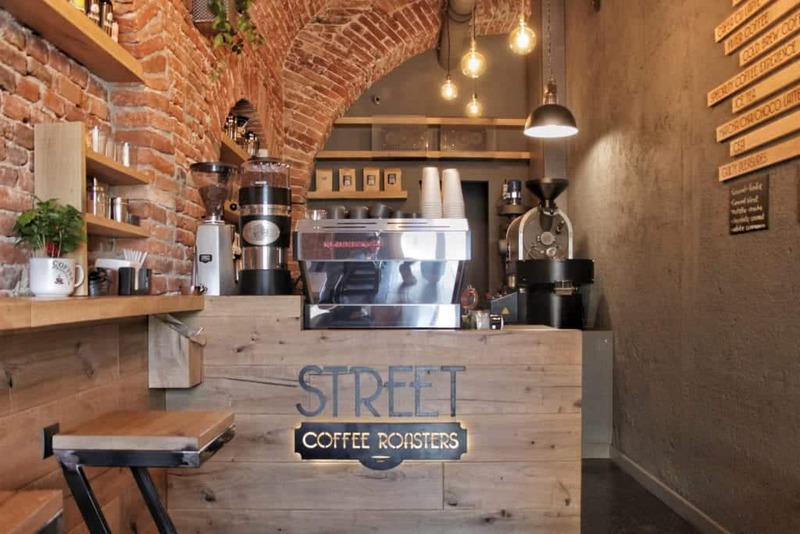 Street Coffee Roasters’ second location had opened just two weeks before my arrival to Oradea, and I happened to meet both owners there. 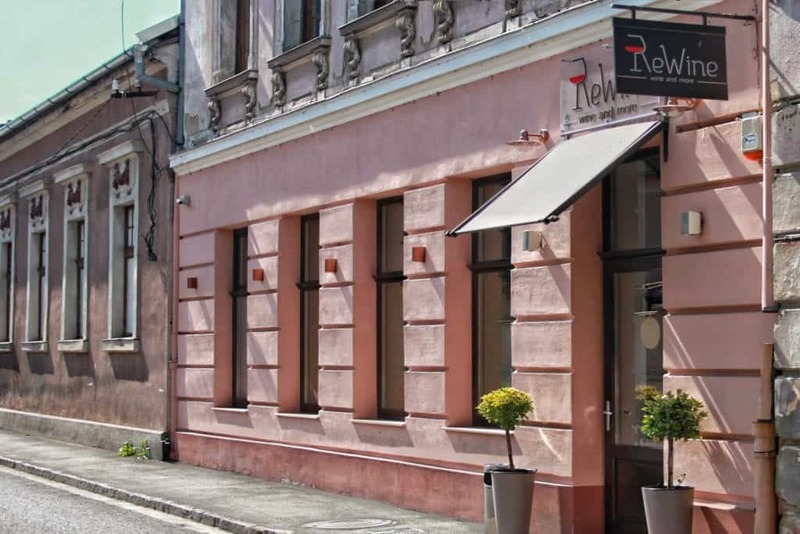 Besides for their own cafes, Andrei and Ionut also supply other shops in Oradea. This meant I could try more of their coffees during my stay in the city. I visited the cafe of the early morning people around 5:30 pm, shortly before closing. Contrary to what its name suggests, SNOOZZ opens its doors at 6:30 am. It helps people wake up and get ready for their day. It is indeed before 8 am that the morning rush arrives at SNOOZZ, together with the workers heading to the surrounding administrative buildings. Catalin Ursu and his wife Carmen opened SNOOZZ in February 2018, having tried speciality coffee for the first time in London. Catalin got to learn more about speciality coffee thanks to the friends he made working in the coffee world in the United Kingdom and in Romania. While Catalin works on the bar, Carmen manages the business. SNOOZZ is located on a corner of an interesting minimalistic building, near the local Court of Justice. The success of their cafe is gained by the attention to the food they serve. Amazing bagels and fresh pressed juices have become a great lunch combo for the people working in the neighbourhood. Coffee-wise, the menu does not lag behind. I had the chance to drink a floral V60, brewed with coffee from Kenya, roasted by Cascara Coffee Roastery from Snagov, a city located near Bucharest. 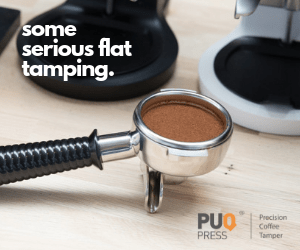 SNOOZZ also provides other types of pourover methods, while espresso-based drinks are prepared with a La Marzocco Linea PB. While most people take their coffee to go in the morning, before heading to their office, SNOOZZ is also designed for sit-ins, with several tables for two, comfortable armchairs and long benches. Catalin mentioned his willingness to expand SNOOZZ to other locations, where he would like to see other than commodity coffee being provided. 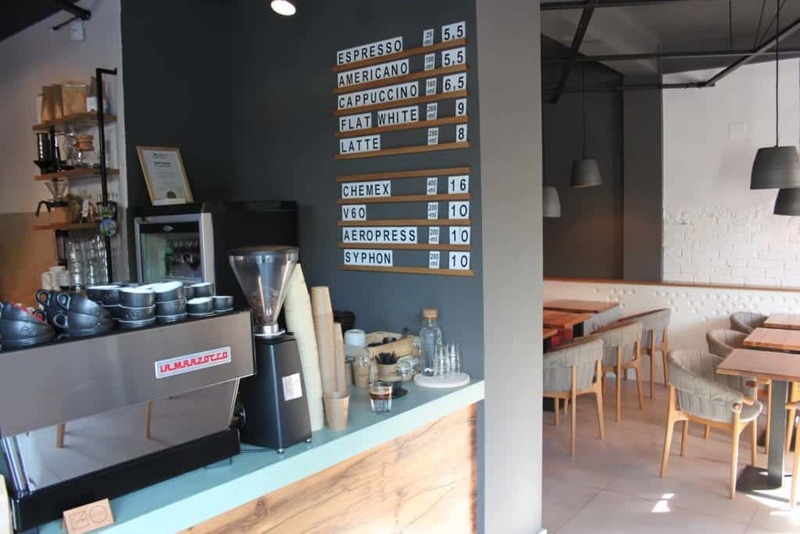 Ristretto is named after the shortest of the espresso drinks, to suit the character of what used to be one of the smallest cafes in the city back in 2014, when it opened. Selling mostly coffee to take away back then, it has now become the biggest coffee shop in the city with 36 seats inside, and a terrace in summer. 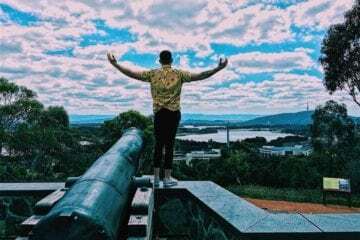 The Italian name also helped the place to expand quickly, as the locals would associate the Italian coffee culture with high quality until a couple of years ago. On top of that, Ristretto spent the first months advertising their name strongly, in order to give a big-brand impression in town. 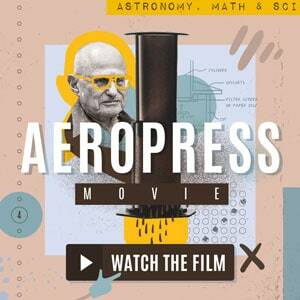 They hoped to make people believe that “Ristretto” was a big brand like “Lavazza”. However, Ristretto has served speciality coffee since day one. Nevertheless, they had to expose their customers to the quality coffee gradually, step-by-step leaving the commodity habits behind. 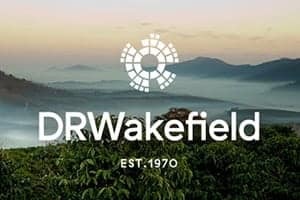 In the first months, they had to use a blend of arabica and robusta beans, in order for the customers not to feel ‘completely lost’ when tasting their coffee. Every couple of months, the espresso blend would have changed though, decreasing the amount of robusta coffee, until they reached a 100% Arabica espresso. The same technique was applied to the level of roast. During the first months, Ristretto would order dark roasts, and slowly, they switched to light roasted coffees. This interesting approach shows a real business mindset of Linda Seres, one of the owners of Ristretto, and Imre Pal, the head barista. Imre—who came third in this year’s Romanian Coffee in Good Spirits Championship—is originally from Cluj, and he first came to Oradea for a 6-month project at Ristretto. But thanks to his amazing cooperation with Linda and his admiration for Oradea, he decided to stay. 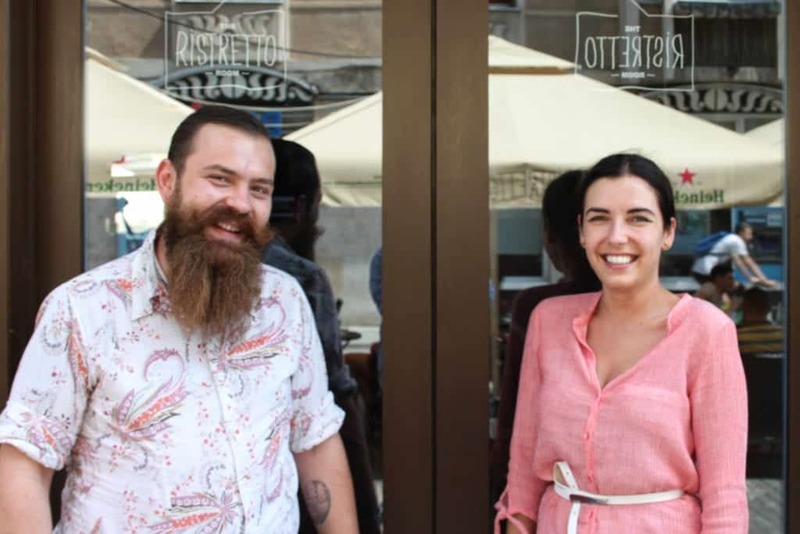 Nowadays, Ristretto has become so popular it can be difficult to find a place to sit, and the team is thus work on opening a second location in the city this autumn. Ristretto is one of the cafes serving Street Coffee Roasters. I drank their Nicaraguan brewed on a V60. I also enjoyed my Ethiopian espresso. 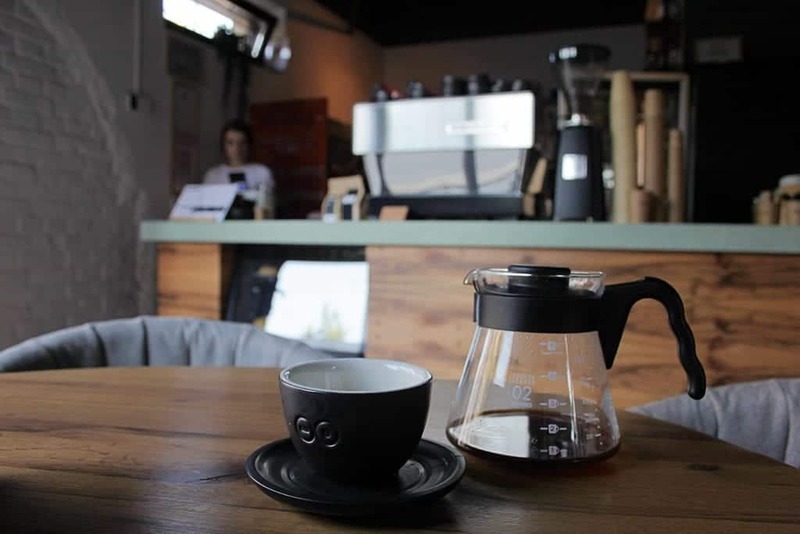 While pourover coffees are not as popular as espresso drinks, the team works on some creative ways to encourage their customers to order V60 and other brew methods. Apparently, as Linda confessed, the V60 and AeroPress posters installed in the bathroom are a good way of suggesting something new to their customers. They have definitely seen a rise in orders of the alternative brew methods. The name speaks for itself. 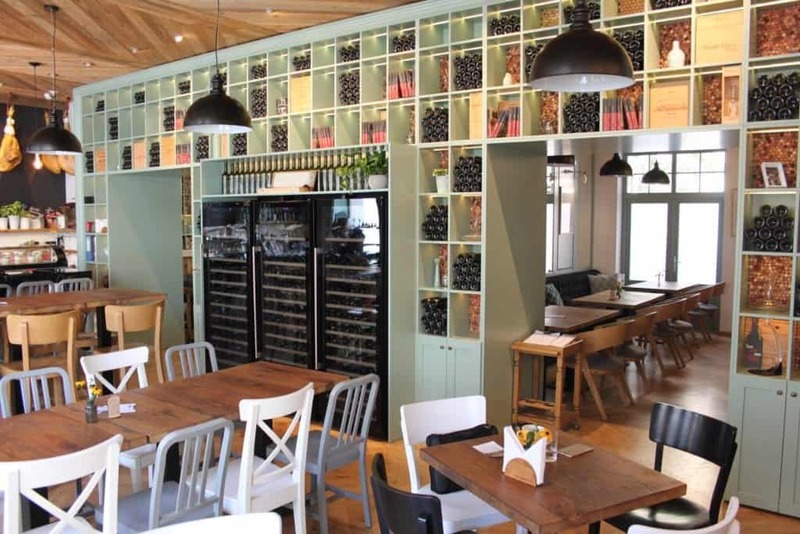 ReWine is a wine bar and restaurant that opened in February 2016, offering more than 400 different types of Romanian and international wines. The motto is about ensuring that each item on the menu is prepared carefully, with quality in mind, at any hour of the day. Although the walls are covered with wine bottles, I followed a great breakfast and coffee recommendation and visited ReWine in the morning hours. The place is charming, and the interior will remind one of an old Tuscany house. The staff are very attentive and made sure I left with a great experience. I ordered a double espresso, which was prepared by Markus Schuster, one of the two dedicated baristas at ReWine. The drink was prepared with coffee from Yume, a roastery based in the nearby city of Cluj. They had a single origin Ethiopia Gelana Abaya in the hopper, next to the La Marzocco Strada espresso machine, offering interesting tasting notes of mango and strawberries. The same single origin is used for pourover methods, and a blend is also available. While Markus got busy preparing the coffee drinks, Daiana Derecichei joined me at my table to explain the importance of coffee at ReWine to me. Although I already understood that coffee was not a secondary drink here, Daiana told me one fascinating thing. The coffee is offered until late in the evening, between 11 pm and 1 am depending on the day. It means that people coming to ReWine for dinner can still order a cup of speciality coffee before leaving and moving onto their next activities of the night. This is quite unseen in Romania. 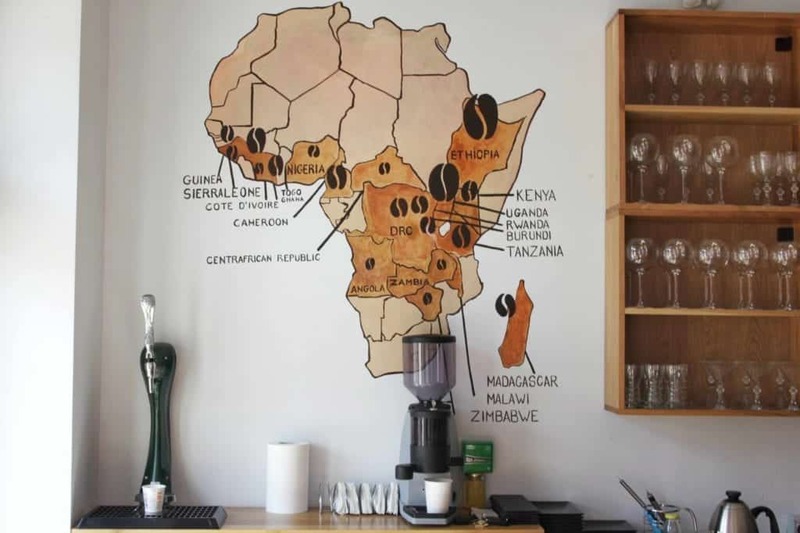 Although speciality coffee has been part of ReWine’s menu since the first day, what makes their restaurant and cafe successful are their dedicated staff. Markus is passionate about Latte Art and the extractions and plans to participate in national competitions next year. He also focuses on training the rest of ReWine team. 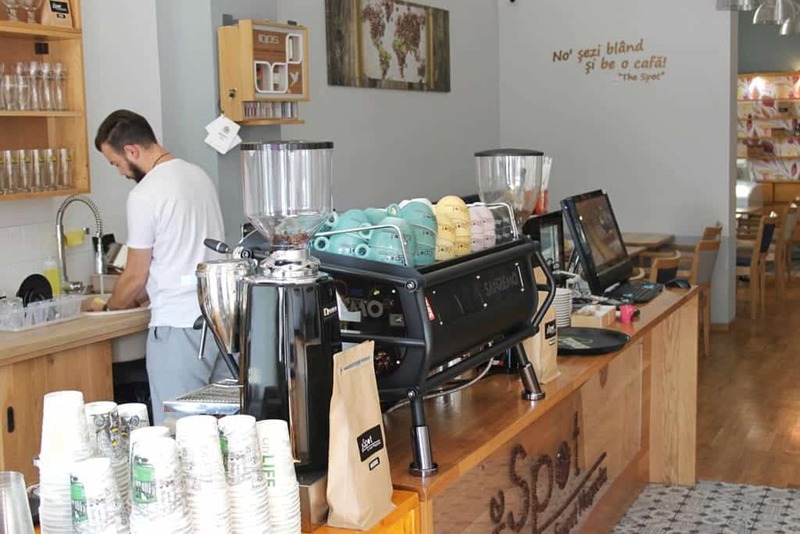 The Spot cafe, located in the main square of Oradea, is not only a spot for great coffee, but also for delicious signature drinks with ice cream. This is because the cafe’s owners also run an ice cream shop called Sweet Magnolia, a well known shop in the town. The cafe opened in July 2017 and serves beans from the local Street Coffee Roasters. I got the chance to meet Dande, the head barista, who served me a flat white, as well as one of their signature drinks, the Orange Cappuccino. Thanks to their ice cream ties, the team worked on creating a sweet coffee drink which would not kill the taste of the coffee. The drink’s sweetness comes from the Honduran coffee they use for espresso-based drinks and then pressed orange zest and cinnamon are added for quite an interesting combination of flavours. 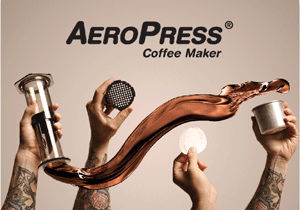 The San Remo Cafe Racer espresso machine is accompanied by a variety of pour over methods. 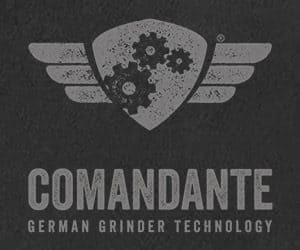 Something that is yet quite intriguing for the most of their customers, Dande admitted. For many, espresso drinks are the only known beverages. Luckily, the location’s outside terrace welcomes the passers-by for a coffee. And their questions about the coffee which tasted ‘different’ are happily answered by Dande who knows a lot about the 80+ coffee beans on offer. Since my last visit, the shop seems to have closed down, either for the winter season, or for good. I believe it deserves a shout anyway. A cafe that was recommended to me by many of the coffee professionals in Oradea, but which I did not get the chance to visit, was The Dripper, also located in the city centre and offering a terrace and some seats for those willing to drink their coffee in-house. Through the cafe’s shop window, I could spot a La Marzocco GB5 espresso machine, as well as several brew methods on the shelves. I regretted not having the chance to try their brunch menu and the coffee roasted in Cluj by Olivo Coffee Roasters. 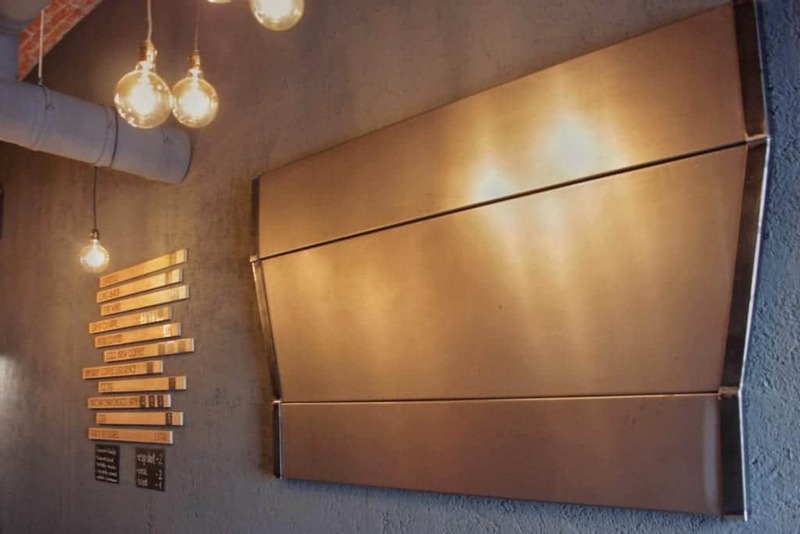 Oradea’s coffee scene expansion makes it an amazing destination for coffee, and not only the Art-Noveau era lovers. I hear of new cafes opening in the next few months, and so there will definitely be more to explore and to report on soon. I am already looking forward to being back in this city undergoing a big cultural revival.